Pitching a tent was never easier! The Cave, from the folks at HEIMPLANET, is a 2-3 person inflatable tent. Yes, the frame is inflatable! 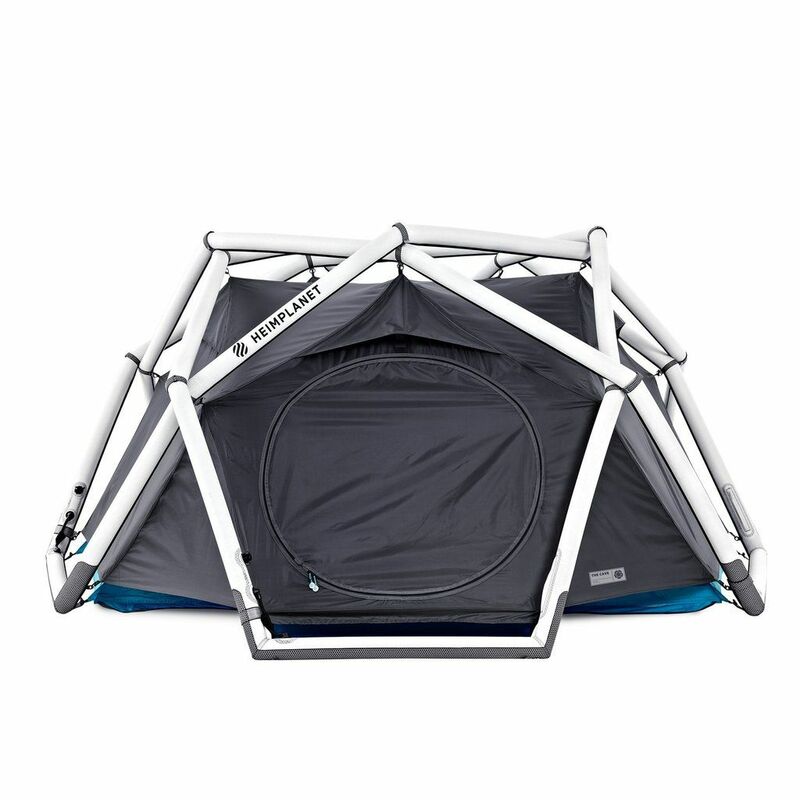 The geodesic-shaped structure is very stable, weatherproof and best of all, can be set up in less than a minute. The airbeams are double layered thus minimizing the chance of deflation, and the 2-in-1 valve on each of the chambers allow for quick inflation and deflation. Inside the tent, you’ll find five closable ventilation points to ensure good airflow and climate control; sewn-in pockets for convenient storage space; a vestibule at the entrance provides room for cooking equipment or for your shoes; and a detachable gear loft underneath the rooftop accommodates out of the way storage. Camping made easy with The Cave!